A person’s weight has more bearing on his predisposition to developing high blood pressure than his current fitness level, Texas study says. In a new study from the University of Texas Southwestern Medical Center, researchers established a concrete link between a person’s weight and the incidence of high blood pressure. It appears that exercising is not enough to keep blood pressure down, because according to Susan Lakoski, MD, obese or overweight individuals are still at high risk for hypertension if they do not get their weight down, despite of their continued efforts at being physically fit. What does this mean? According to the researchers, the main target when you want to lower your blood pressure is to get your weight down with your best efforts. It’s not enough that you get some minutes of exercise per week, though this has not been discredit. What the researchers are saying is that you have exert every healthy effort to keep your weight down and keep it from going up. Weight, according to the Texas study, takes precedence to physical activity when it comes to determining the risk for developing high blood pressure. According to the CDCP, nearly 1/3 of all adult Americans suffer from high blood pressure. Half of those who suffer from high blood pressure are within the 55+ years range, which means more and more of our seniors are at greater risk of suffering from stroke, coronary heart disease and other dangerous medical conditions. According to the study’s data, it appears that only the people within the normal weight range experience palpable blood pressure benefits when they exercised. The bottom line? People should focus on getting their weight within the normal range and start moving. Because obesity and a sedentary lifestyle can increase mortality and risk for many negative health conditions, including heart problems. 1. It would do your heart a world of good if you quit smoking today – because cigarettes have been proven to contribute to the development of hypertension in both men and women. 2. 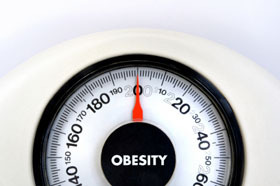 If you are presently overweight, cut down on fatty foods and start exercising to lose the extra pounds. 3. Exercise 30 to 40 minutes everyday. Experts recommend 150 minutes of exercise for both men and women for general wellness. Regular exercise is also a general preventive for many diseases and negative health conditions. 4. Cut down on your coffee intake, as caffeine has been shown to increase blood pressure. Limit your intake of regular coffee to 1 to 2 cups per day to reduce your caffeine load. Substitutes to coffee like green tea are a good idea, because green tea only has half of the caffeine content of regular coffee. 5. Reduce your salt intake, because sodium directly increases a person’s blood pressure. More than 2,300 milligrams of the stuff per day can cause your blood pressure to spike. 6. Control your stress level, because stress can cause hypertension and can also affect your mental health in the long term. Relaxation techniques such as deep breathing, yoga, stretching, meditation and aromatherapy are options that you can explore when it comes to de-stressing. 7. Natural supplements like fish oil, garlic, hawthorn and folic acid have been known to reduce oxidative stress of the heart and the other organs in the body, which may help in your overall effort to reduce your blood pressure. Coenzyme Q10 or Co-Q10 has also shown great promise when it comes to protecting the heart and reducing a person’s blood pressure.